Sign-up for a Club 60 card (it's free and easy!) to unlock access to great offers, including seasonal promotions and all-year-round discounts on selected products and services. 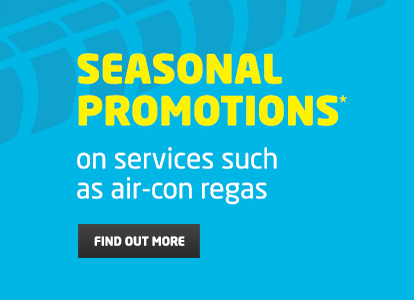 Seasonal Promotions: From discounts on an Air Conditioning regas, to cold weather Vehicle Health Checks in the winter. Make sure you look out for the latest seasonal specials for Club60 customers. Find out more here. Special Discounts on Tyres: There are always great tyre deals at ATS Euromaster, but for Club60 customers you can check here for further information on exclusive offers. Of course you can always choose the best deal on the day. Not to worry - click here to fill out a replacement card form. We aim to get your card to you within a maximum of 28 days. 2. ATS Euromaster's Club60 has changed. The new discounts and offers, and these terms and conditions will apply from July 30th 2016. All previous offers and terms and conditions relating to Club60 no longer apply. 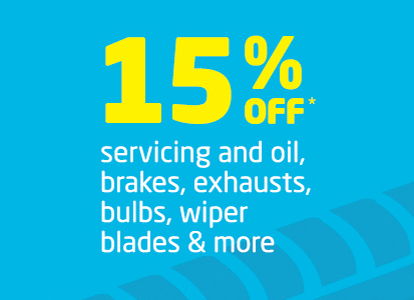 15% discounts off ATS Euromaster's full retail price on any Servicing, Brakes, Wipers, Exhausts and Batteries, incuding products and labour costs. 4. Seasonal promotions will feature products and services that ATS Euromaster considers are relevant to a given season e.g. Winter Vehicle Checks. These will be set out on the ATS Euromaster Club60 webpage as and when they are available. 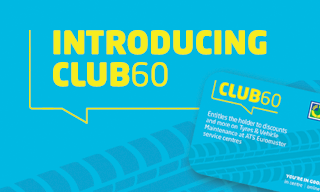 Club60 tyre offers will be available from time to time and will vary, details of the tyre offers will be included on the Club60 webpage as and when they apply. 5. Club60 offers and discounts many not be available on selected days of the week. Please refer to the Club60 webpage or your nearest ATS Euromaster Service Centre for more information. 6. The Club60 card can only be used to discount purchases made in ATS Euromaster Centres and cannot be used against online purchases on the ATS Euromaster web-shop. 7. Club60 cards may only be used by the card holder who is registered with ATS Euromaster and must be shown to the ATS Euromaster Service Centre in order to obtain a discount. 8. Proof of age may be required when using the Club60 card in centre. 9. The Club60 card cannot be used in conjunction with any other offer. 10. Sign-up and use of the Club60 card is FREE and requires no subscription. 11. Delivery of the Club60 card may take up to 21 days when online sign-up is used. Cards picked-up in ATS Euromaster centres can be used immediately and registration at the centre is required prior to use. 12. Club60 discounts are applicable to Cars, 4X4’s & Light Commercial Vehicles up to 3.5t only. 13. ATS Euromaster’s retail prices are inclusive of VAT. The Club60 discount applies to the VAT inclusive price. 15. Tyre offers are available from time to time on selected tyre brands. The discounted price excludes the cost of valves, balancing & disposal which are charged separately. 16. 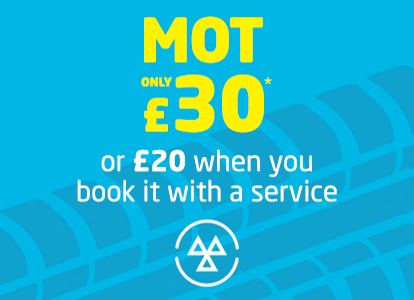 All Tyres and Services purchased using a Club60 card must be fitted and/or carried out at the ATS Euromaster Service Centre at time of purchase. 17. Please ensure you mention that you have a Club60 card to the ATS Euromaster Service Centre prior to requesting prices. 18. The Club60 scheme is available to retail customers only. It is not open to Business Account customers. 19. ATS Euromaster reserves the right to withdraw or change the Club60 offer at any time without prior notification. 20. ATS Euromaster’s prices are subject to change at any time.